Working with lots of colours can be a hassle, especially if you don't know the HEX or RGB value off-by-heart. That's where ColourDock comes into play. 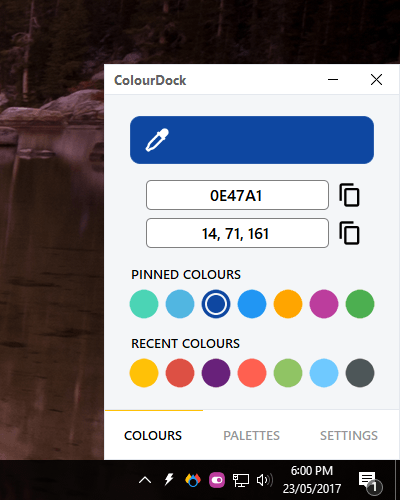 ColourDock lets you take the colour of any pixel on your display with either a hotkey press (Alt + C by default, can be changed) or click of a button, and saves it for use across Windows. Even better, upon getting the colour, it automatically copies either the HEX or RGB value for you. But, what if you'd rather enter a RGB or HEX code for it to manage? No problem, because it can do that too. 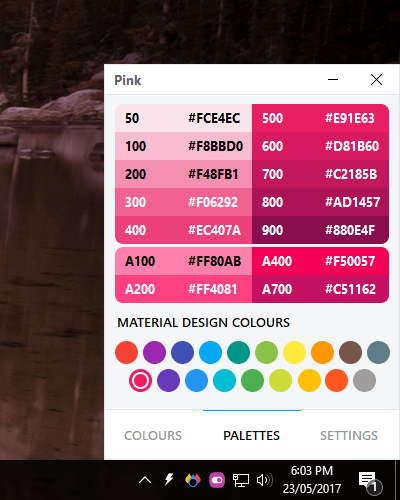 With it, you can easily have it automatically save up to 8 recent colours, or you can pin up to 8 colours that you might use more than any other colours. 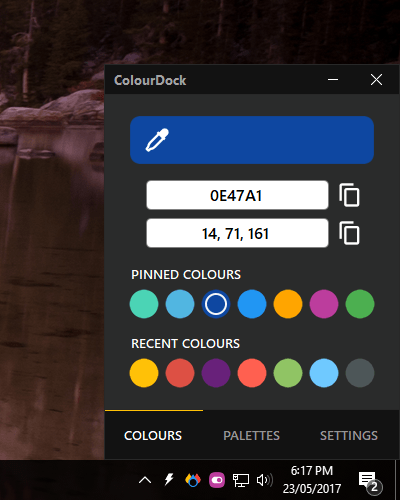 On top of that, ColourDock has numerous settings, ranging from a dark mode to changing the hotkey for the colour grabber, allowing it to work for you. 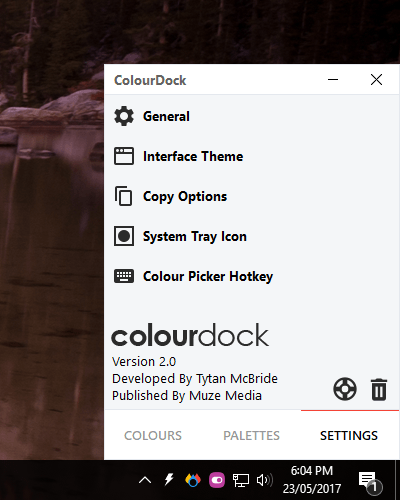 ColourDock is currently not available for macOS. For optimal use, use with a display set to either 100% or 200% scaling (other settings should work just fine, however there may be some text or image rendering issues due to the way Windows scales apps).